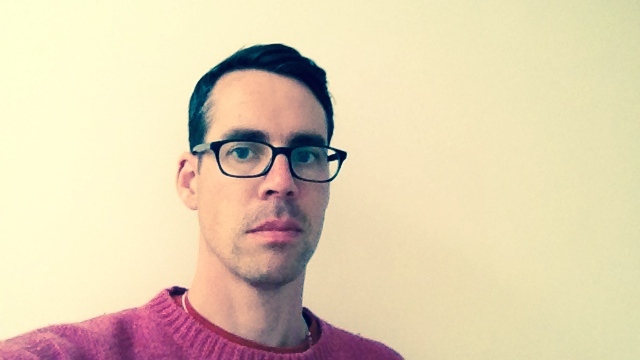 As part of our new series where Sociology staff talk about what has inspired them and their work, we feature Dr Ben Pitcher, who teaches on race and social theory. I went to Goldsmiths to study for a degree in literature in the late 1990s, and until then I didn’t really know what sociology was. I’d taught myself bits and pieces of politics and philosophy, and I was very fortunate in that my degree gave me the opportunity to continue exploring ideas that fascinated me. So for example I became interested in how journalists and critics in Britain and America seemed to be using contemporary Northern Irish poetry as a way of understanding the political situation in Northern Ireland. I wasn’t interested in the poetry itself, but in the way it seemed to be where audiences worked out their beliefs, feelings and sympathies. These were on the one hand just stories – partial, selective, distortive – but I could see they were stories that had some kind of traction. They were stories with important social and political dimensions. I came to discover that sociology was one place where people have explored this fascinating relationship between language, culture and society. I’ve never thought there was much sense in keeping sociology separate from other disciplines, and the kind of sociology I like goes by lots of different names. For example, I think some of the most interesting sociological work today is currently being done under the banner of human or cultural geography where there’s been a breaking down of distinctions between human and nonhuman in our understanding of the social. I align my own work with the tradition of cultural studies. Cultural studies is invested in working across and calling into question the disciplinary boundaries of the humanities and social sciences. It’s often a way of opening up interesting questions rather than closing them down. Cultural studies is interested in political questions, but it keeps a very open mind about what ‘politics’ might be. Whether you’re talking about teaching or about writing, the aim is always to find ways of encouraging people to think about things differently. I guess the definition of a good sociologist is that they wouldn’t exempt themselves from this process too. In this country, sociology’s popularity as a discipline coincided with the expansion of higher education around fifty years ago. The more critically inclined teaching was designed in part to challenge the beliefs and prejudices of what was at the time a dominant student demographic: largely middle class, predominantly male, overwhelmingly white (and funded by the state). The themes of class, gender and race are still very important in contemporary sociology, but if sociology is to keep doing a critical job for what is now a very different student demographic (studying under very different economic conditions), it needs to figure out how to teach these subjects today in some radically different ways. This entry was posted in Uncategorized and tagged ben pitcher, Staff profile. Bookmark the permalink.